Baking icon Dorie Greenspanis one of the greats, whose work has spanned generations and helped bring food to the forefront of daily conversation. 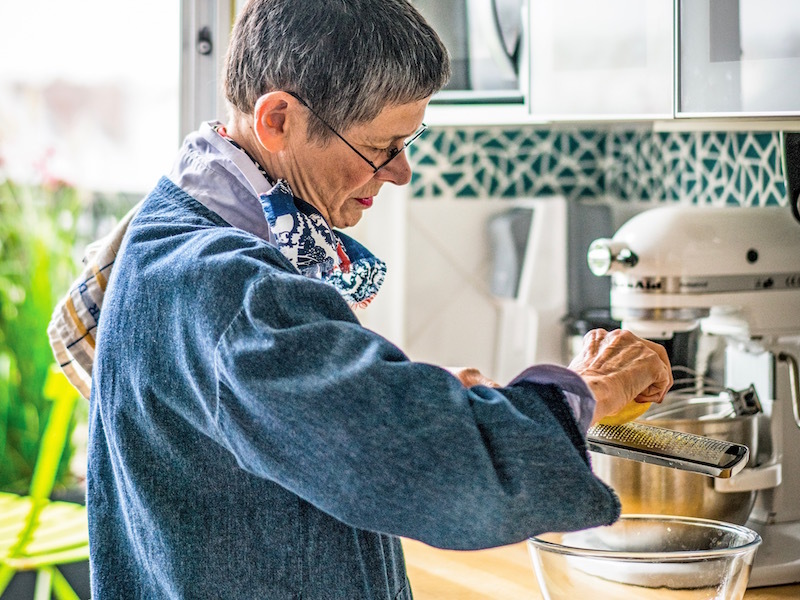 She is one of the most influential women in French cuisine since Julia Child, having co-authored cookbooks with Pierre Hermé and Julia herself, and won multiple James Beard Awards and International Association of Culinary Professionals Awards. 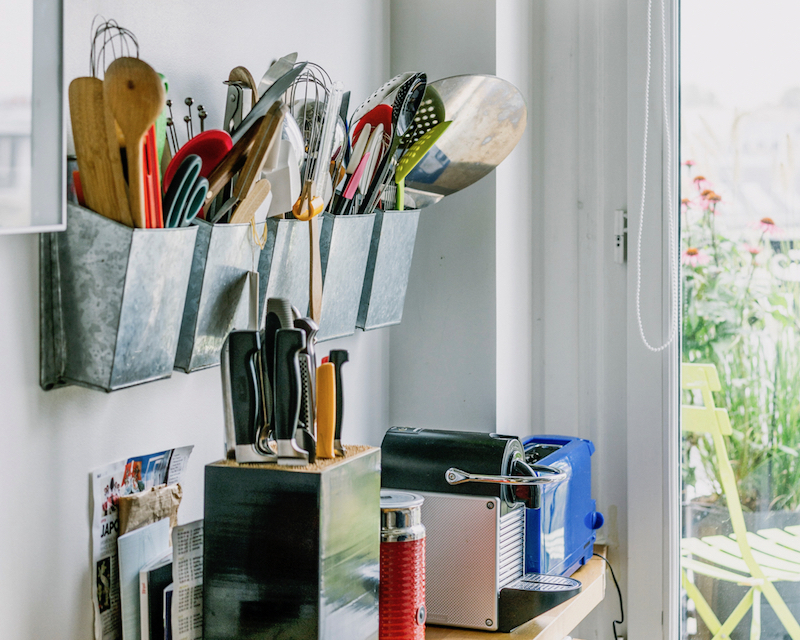 During our production trip to France for our French-themed March/April 2019 issue, Dorie welcomed us to her Parisian apartment, inviting us in for an exclusive baking and chat session. Her sixth arrondissement apartment is Dorie’s chez moi, or home, where she spends half of the year when she’s not at her residence in New York. As we chatted, Dorie did what she does best: baked. 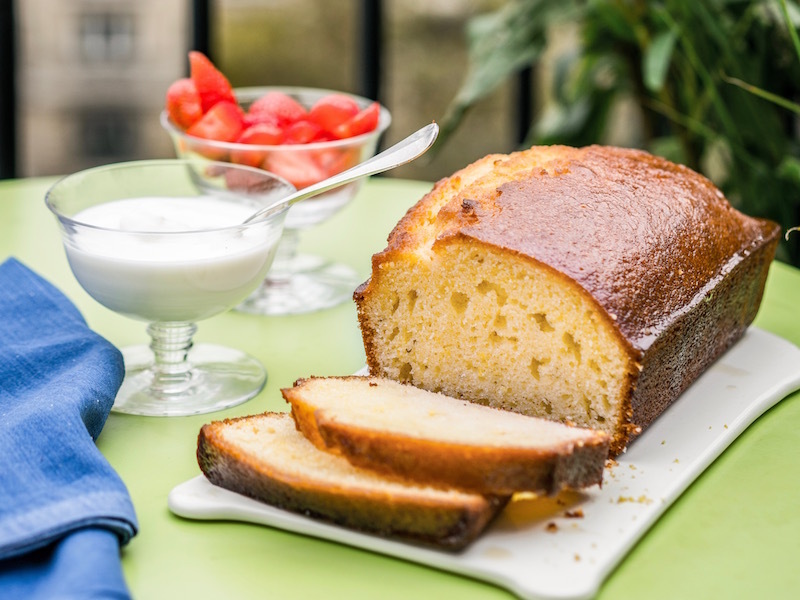 She shared her recipe for her signature French Yogurt Cake, a simple, pillowy cake that melts in your mouth. Pick up a copy of the issuefor her recipe! 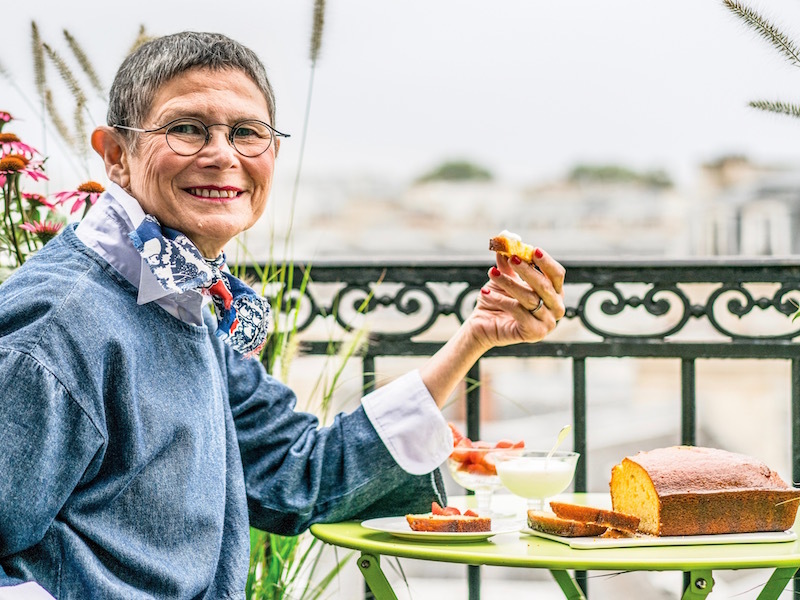 Don’t miss out on an opportunity to meet Dorie Greenspan for aperitif during our baking retreat to France on September 29–October 6! 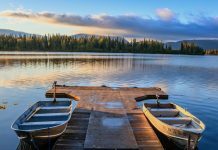 Reserve your spot today, and see what other exclusive opportunities the trip offers! You describe baking as your first passion in the kitchen over cooking. What was it about French baking that captured your attention and made you want to explore it? 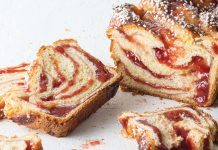 Dorie Greenspan: I loved baking French classics for so many reasons, among them: I knew that I was learning to bake building blocks that I’d be able to use for many different things. I enjoyed the work, and the process of baking engaged all my senses and my imagination, too. What I baked was beautiful, and most important, what I baked was delicious. First French dessert you baked from scratch? DG: It was a traditional pear tart: crust, frangipane, and sliced, pressed, and fanned-out pear halves. Whenever I make this tart—and I often do—it transports me to France. When was your first visit to Paris? What were your first impressions of the city? DG: I went to Paris for the first time when I was in my early 20s, and I was so taken with the city that I returned home angry at my mother—I wasn’t sure that I could forgive her for having me in Brooklyn, New York, instead of Paris. Is there a certain part of the year you like to spend in Paris? Why? DG: For the past 20 years, we’ve celebrated Christmas and the New Year in Paris. It’s a wonderful time to be together with family and friends. And it’s the moment for two irresistible desserts: bûche de Noël and galette des rois. But I’m in Paris for some part of every season and I can’t think of a time that I’m not happy to be there. What neighborhood is your current apartment in? DG: We have always lived in Saint-Germain-des-Prés in the sixth arrondissement. I love it because it’s always lively, has terrific markets, cafés, and restaurants as well as my favorite wine bar, and, best of all, there are so many fabulous pâtisseries and chocolate shops within walking distance. In fact, I live very close to my favorite Paris bakery, Pierre Hermé. While he’s rightly best known for his macarons (don’t miss his seasonal specials), I love his Tarte Infiniment Vanille. You’ll never think about vanilla in the same way after you’ve had this. What do you love about baking from your apartment in Paris? DG: For starters, I’m crazy about my Paris kitchen. It’s very small but extremely workable. What I love most about it is that it’s got two doors (French windows) that open out to a tiny balcony. 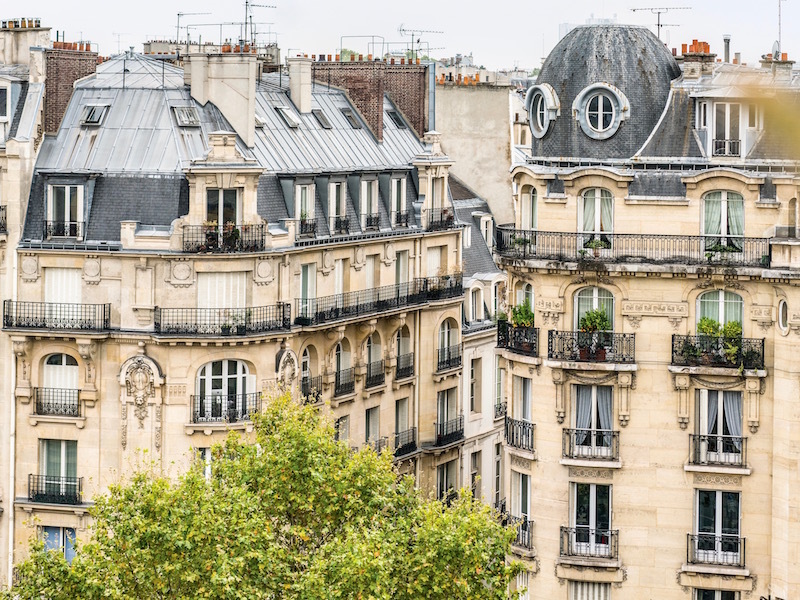 In winter, it’s full of light, and in spring, summer, and fall, I can open the windows, hear the sounds of Paris and pop out to the balcony to take a coffee-and-cake break. I can also cool cookies and cakes out there. In the introduction of your book Baking Chez Moi, you write that you would never have known about the recipes you included if you didn’t live in Paris and have friends sharing them with you. Can you elaborate on how important this was? DG: I came to French baking, as most people do, through the gorgeous formal pastries in Paris shop windows. These were the pastries that I taught myself to make when I was learning the craft. Over the years, I’ve made friends in Paris and had the fun of being invited to their homes for dinner. 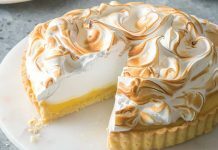 While some of my friends don’t bake at home (the French are not as ambitious or as avid about home baking as we Americans are), those who made desserts themselves made sweets that were the polar opposite of what you find in pâtisseries. Homemade French desserts are homey. They’re simple, often rustic, and always satisfying. If I weren’t sharing meals with my French friends, I’m sure I wouldn’t have discovered these recipes and, for sure, I wouldn’t have had so many of them given to me. You spent the summer of 1995 in Julia Child’s kitchen filming the Baking with JuliaPBS series and producing the cookbook Baking with Julia. What was the most important baking lesson you learned from Julia? DG: That was such an extraordinary experience for me. Over the course of the summer, I was with Julia every day, and we were with a different baker every day. I learned some techniques and many new recipes, but that summer was less about learning specifics and more about marveling at how the bakers at the top of their craft continue to polish their skills, stay curious, work seriously, and share what they know. You’re hosting a casual springtime dinner party for a few close friends. What do you make for dessert? DG: I keep it really simple: a bowl of spring strawberries, some whipped cream or crème fraîche, and a slice of my French Yogurt Cake. A must-visit spot for a baking enthusiast’s first visit to Paris that they may not necessarily know about? DG: G. Detou. It’s a wonderful place to buy French ingredients. I always shop there for nuts, chocolates, fleur de sel, and almond paste. Go-to French bakery in the United States and what to order there? DG: I love Hen & Heiferin Guilford, Connecticut. As soon as I step into the shop and see the beautifully arranged pastry case, I feel as though I’ve been transported to France. Whang Suh makes gorgeous choux pastries and lovely glazed cakes, but I always like his simple and perfectly made Apple Breton Cake. Biggest “don’t” when visiting a Parisian pâtisserie? DG: Don’t buy too much! The pastries are made every day and most are meant to be eaten the day they’re made, so don’t buy to save for later. Traditional baguette or brioche à tête? DG: All of these choices are impossible, maybe even unfair, but this is the hardest one. I’ll say sablés, but I’d never want to live without palmiers. For the full interview and Dorie’s recipe, pick up a copy of our March/April 2019 issue! The issue also includes an exclusive interview from our baking session with David Lebovitzin his Paris apartment!